It is the season of words of prophecy. There are many in the church seeking the Lord’s direction for the coming year. plan will be revealed to us through targeted prayer and fasting. Here are two scripture that you should memorize. Ephesians 3:20-21 Now unto Him that is able to do exceeding abundantly above all that we ask or think, according to the power that worketh in us,Unto him be glory in the church by Christ Jesus throughout all ages, world without end. Amen. Why do you need to know these scriptures? Well, in order for you to receive what the Lord has for you become familiar with who you are and what you have at your disposal in Him. Everything that you need, you already have. The scriptures says that every spiritual blessing is available to you and that God is able to do more than you can imagine. We will be praying a prayer for blessings and clarity of direction everyday for 7 days so that you will be able to realize your purpose, walk in your calling, harness the blessings that you already have and follow the plans that God has in store for you. These prayers will help you receive direction and clarity from the Lord. If you feel led, fasting along with the prayers will remove anything that will cloud your mind from receiving His direction. Below are the prayers which you can pray along with us to open your spiritual eyes to a new dimension of spiritual growth and purpose in 2013. Our way of getting Words of Prophecy to you for this year is to pray for you and show you how to receive them from the Lord for yourself. 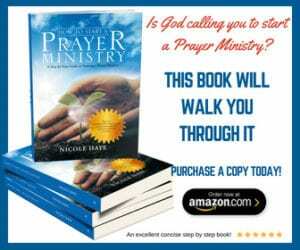 Before you start receiving the prophecies – PRAY! Ask the Holy Spirit to put a filter over your ears and eyes before you listen to it. Ask Him to make sure you refuse what is not from Him. Read Jeremiah 14 & Jeremiah 23 to hear what God is saying about false prophecies. 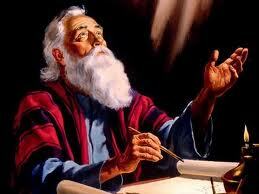 Be Wise – 1 Corinthians 14:29 “Let two or three people prophesy, and let the others evaluate what is said”. You are to evaluate everything using the word of God. Don’t be gullible. How do you know the correct time to move out? Ask God. The prophet should never take the place of God in your life. The prophecy may be for someone else and not for you. If a word is going forth for healing & you are not sick – obviously this is not for you. If the word is to restore a marriage, and you single- obviously it is not for you. Therefore not all prophecy regarding money/prosperity/wealth is for you. Pray it through and use wisdom. Don’t put yourself in debt. Everything God has to say to you is already in the bible. The prophet should not be telling you anything that he/she cannot back up with a scripture. It has to be in the word of God. If it’s in addition to scripture – don’t receive it. From this scripture we see that John was about to worship an angel that brought a prophesy from the Lord. The angel rebuked him for this action. Our worship belongs to God and God alone for whatever words we receive. This is something that should always be remembered lest we make idols of God’s servants. Also, all prophesy should point to the testimony of Jesus Christ and His kingdom. Finally, are you looking for the tried & true prophecy for this year? Ask God. He never lies and He will never lead you astray. May God Bless You with the totality of His blessings. Happy New Year! Israel became a nation reborn on May 14, 1948 (Ezekiel 36:24) Major War 1948. Four red moons followed. (1) April 13, 1949 Passover blood red moon (2)October 7, 1949 Sukkot blood red moon (3)April 2, 1950 Passover blood red moon (4)September 26, 1950 blood red moon. What will happen in 2013 since Four blood red moons will follow? OR will April 15,2014 pass with one red moon like what happened in the Six Day War followed by three red moons meaning the Sunni Arabs will go to war against Israel sometime after April 15,2014 and before October 8,2014? (1)April 15,2014 Passover blood red moon (2)October 8,2014 Sukkot blood red moon (3)April 4,2015 Passover blood red moon (4)September 28,2015 Sukkot blood red moon. God used the sun to help Joshua destroy Israel’s ancient enemies. (Joshua 10:12-14) Today, God uses the four red moons to warn the Israelites their enemies plans of attack. Very good to read, God bless.. I have understood more about prophecy in connection to my life and ministry.